The introduction of dedicated phlebotomy teams certified for blood collection has been reported to be highly cost-effective by reducing contamination rates. However, data on their effects on blood volume and true positive rate are limited. Therefore, we investigated the effect of replacing interns with a phlebotomy team on blood culture results. We performed a 24-month retrospective, quasi-experimental study before and after the introduction of a phlebotomy team dedicated to collecting blood cultures in a 2700-bed tertiary-care hospital. 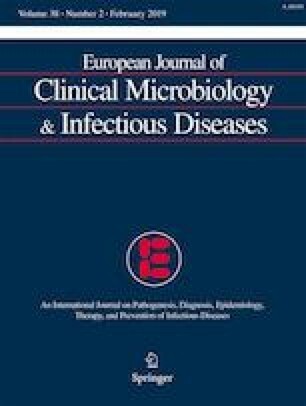 The microbiology laboratory database was used to identify adult patients with positive blood culture results. During the study period, there were no changes in blood collection method, blood culture tubes, and the application of antiseptic measures. Blood volume was measured by the BACTEC™ FX system based on red blood cell metabolism. A total of 162,207 blood cultures from 23,563 patients were analyzed, comprising 78,673 blood cultures during the intern period and 83,534 during the phlebotomy team period. Blood volume increased from a mean of 2.1 ml in the intern period to a mean of 5.6 ml in the phlebotomy team period (p < 0.001). Introduction of the phlebotomy team also reduced contamination rate (0.27% vs. 0.45%, p < 0.001) and led to a higher true positive rate (5.87% vs. 5.01%, p < 0.05). The increased true positive rate associated with the phlebotomy team involved both gram-positive and gram-negative bacteria. The introduction of a dedicated phlebotomy team can increase blood volumes, reduce blood culture contamination rate, and increase true positive rate. The online version of this article ( https://doi.org/10.1007/s10096-018-3430-4) contains supplementary material, which is available to authorized users. This work was supported by a grant from the Korea Healthcare Technology R&D Project, Ministry for Health and Welfare, Republic of Korea (grant number HI12C0756). The funders had no role in study design, data collection and interpretation, or the decision to submit the work for publication.